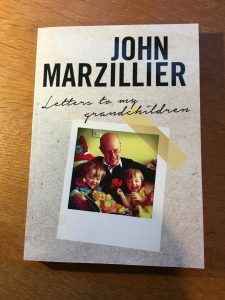 In April 2016, I started writing essays in the form of letters to my grandchildren who were then just 2 years old. It would be many years before they would read them if indeed they ever did. Over the following two and a half years I wrote 21 letters on subjects as diverse as Patriotism and Holidays, Snow and The Counterculture. I have now had them printed as a book. I didn’t set out a list of topics. I wrote what was in the news or in my head or something I read. I didn’t have a purpose other than to write something of interest. That’s not quite true. I wanted the girls to have a link to me and Mary, their grandparents, to what was in my mind and what was happening in the wider world. Here are a few of these letters.